The U.S. House of Representatives voted down the so-called farm bill Friday on a 213-198 vote. The bill's failure proved a high-stakes embarrassment to GOP leadership, which spent days attempting to wrangle enough votes for the massive piece of legislation setting agriculture and food policy, with a price tag of $857 billion over 10 years. As expected, all Democrats voted against the measure. They were also joined by 30 Republicans, many of them members of the House Freedom Caucus, who voted "no" after failing to get concessions on spending and a future vote on immigration in exchange for their support. In the big picture, the farm bill would have continued subsidies for farmers. But a key sticking point in the measure, particularly for Democrats, was proposed changes to food stamps -- officially known as the Supplemental Nutrition Assistance Program, or SNAP -- which helps 42 million Americans, including one in 10 Californians. Democratic Leader Nancy Pelosi characterized the bill as "cruel" and "destructive," and summed up her party's stiff opposition just two hours before the vote. The Agriculture and Nutrition Act of 2018 proposed to shift billions of dollars to employment and training programs, while substantially increasing the number of people who would need to prove they are working or enrolled in job training to get the monthly nutrition benefits, which average $126 per person. While opponents argued the changes would lead to more low-income Americans going hungry, supporters said they would help move people out of poverty and strengthen the country's workforce. "Food stamps should be for the neediest in our community," said Rep. Jeff Denham (R-Turlock), a member of the House Committee on Agriculture, who voted for the farm bill in committee last month. "If you're able-bodied and you are work-capable, we want to make sure you find a job and you get the training that you need to lift yourself out of poverty." Nationwide, adults ages 18 to 49 who don't have dependents or disabilities must prove they are working or in job training at least 20 hours per week to receive SNAP benefits for more than three months. The bill would have substantially expanded the requirement to include adults up to age 59 and parents with children older than age 5. Recipients would have had to show they were meeting the new rules on a monthly basis. Denham represents a portion of the Central Valley, a region where SNAP, called CalFresh in California, helps reduce more poverty than elsewhere in the state, according to an analysis by the California Budget & Policy Center. Denham acknowledged the potential difficulty for low-income Californians who are already struggling to get by. But he said his own family was able to get off the food aid when he was growing up to achieve greater financial stability. "You know, when my parents were on food stamps it was a challenging situation where my mom needed to go back out and get new training to be able to get a new job," Denham said. "It's very difficult, I get it. But I also understand that you are able to improve your life by working and actually having a job." Spending on SNAP and other nutrition programs makes up the largest portion of the farm bill's cost, about 76 percent. Last year, the federal government spent $68 billion on the program. Under the failed bill, about 1.2 million people would have stopped receiving SNAP benefits as a result of the tighter work requirements in 2028, according to the nonpartisan Center on Budget and Policy Priorities. The majority of them would have been parents with older kids -- although children receiving the benefit would not be affected. For food banks, that spelled bad news. "Any cuts to SNAP guarantee that we will see an increase of individuals, families in our food pantry lines. 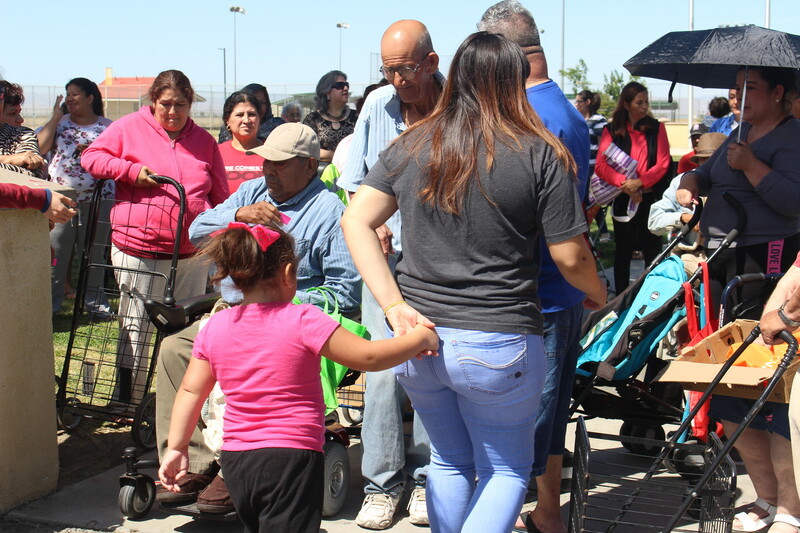 And we are not prepared to meet that need," said Natalie Caples, chief operations officer at Community Food Bank, which serves Fresno and four other counties in the Central Valley. Caples said that for every 12 meals that SNAP provides, food banks in the Feeding America network make up just one meal. "There's no way," she said. "We don't have the resources to make up those additional meals that SNAP currently provides in our service area." 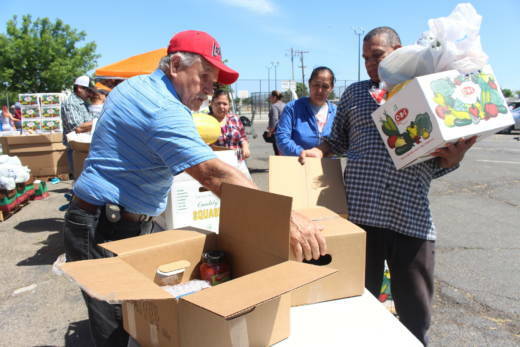 At a food pantry that volunteers set up in a parking lot in Mendota, a small city surrounded by agricultural fields, Maria Escobar awaited her turn to reach for a Community Food Bank cardboard box with cabbage and broccoli, bread, a chicken and other staples. Escobar, 30, said she sometimes supplements her household's CalFresh benefits with additional food from the pantry. "With my kids, it's really difficult, because food is so expensive," Escobar said. She has three kids at home, ages 8, 10 and 11. Escobar is a farmworker, but the jobs are seasonal. As a single parent, she said it would have been difficult to meet the proposed requirements to avoid a drop in benefits. "I don't know what I would do," Escobar said. 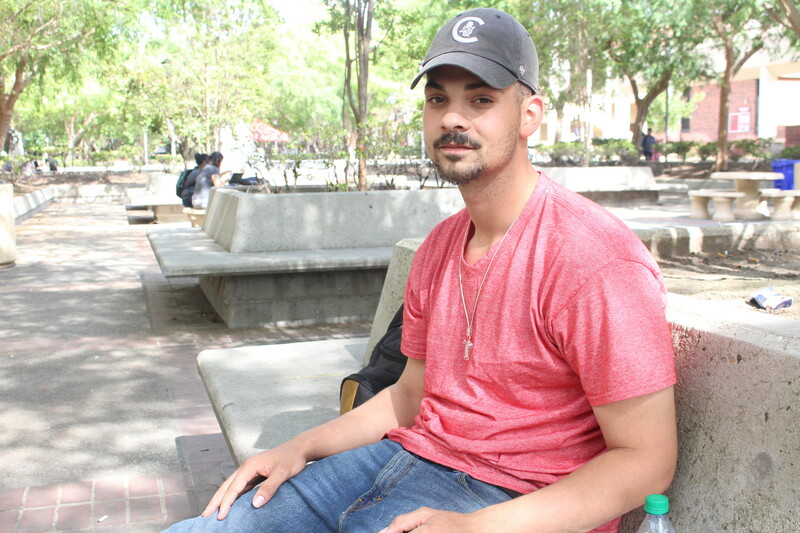 For Fresno City College student Frederick Johnson, the $190 he receives monthly in CalFresh benefits is one of the few things he can currently count on in life. Johnson, 22, has struggled with homelessness. But he still goes to school full time and works a minimum-wage job at the college. "I don't come from the best family. I come from a bad neighborhood as well. So I know I got to work twice as hard to be on everybody else's level," said Johnson, a biochemistry major who dreams of working in a lab as a medical researcher. Currently, California has a waiver that exempts SNAP recipients like Johnson from having to prove they are working 20 hours per week. But that waiver expires this summer. Having to find more work hours, to keep more than one month of CalFresh benefits at a time, would have made it harder for him to stay in school, he said. "I don't feel like they should add pressure to people on CalFresh," Johnson said of lawmakers backing the farm bill. "I feel like they should sincerely just help them and give them more time." NPR's Brian Naylor and Kelsey Snell contributed to this report.